To begin, I would like you to visualise a scenario. Somewhere in South East Asia, there is an aspiring property developer. Let us just call him Bishwas. Bishwas just found the perfect piece of land to build a small backpacker inn. Having worked as a construction project manager, he had been involved in similar real estate projects and has the necessary knowledge to realise the development. Bishwas has also done a financial feasibility study and all indications show that he will make good returns from this project. Apart from monetary incentives, he believes that his backpacker inn will be able to benefit his community by offering direct employment opportunities for the builders as well as for staff who he will hire to help maintain the inn. There could even be a spillover effect brought about by the project as small businesses, ranging from makeshift food stalls to rudimentary tourist services, could spring up to support the development and the occupants of the inn. While Bishwas has amassed some funds for the initial phase of the project, it is not enough. He has tried approaching the local banks, however not many of them are interested in lending him a few hundreds of thousands only. Banks generally prefer to finance larger multi-million dollars projects to make their efforts (and fees) worthwhile. Apart from that, the banking system in his country is not as sophisticated as those of other more developed countries and things like mezzanine loans, second charges, etc. are not heard of. Bishwas also tried talking to some wealthy individuals whom he knew to invest in his project. However, many were not comfortable with the huge financial risks of putting several millions in a single development. After exhausting all available contacts, the only thing that Bishwas could do was to put his project on hold. The positive economic spill over that could have otherwise benefitted the community also failed to materialise. Can things be done differently? At this point, I admit that in writing the above few paragraphs, I may have taken some creative liberties by oversimplifying the property financing process. Anyone who has been involved in development work, be it building a backpackers inn or constructing multi-unit condominiums, can attest to the fact that raising money for a project is not easy. Quite often, viable development projects do not get off the ground (or stall midway) because developers lack the access to funds. On the other hand, those who control the funds (i.e. financial institutions and wealthy individuals) are generally more focused on profits and bottom-line. Hence, the question is, can things be done differently? Could there be a better way to allocate financial resources for real estate projects? Would it be possible for funders to decide how much they should support the real estate project based on how much they can afford, the expected returns as well as the socio-economic benefits the development brings to the community? From this perspective, does this not sound like what crowdfunding, when applied to real estate development, can do? Is Real Estate Crowdfunding really something new? Even before the idea of crowdfunding took the world by storm, individuals were already pooling their funds together and co-investing in properties. Unlike other types of businesses, the act of putting money together for property development is not unusual as real estate ventures are quite capital intensive. Hence, to many people, especially Asians who are avid property investors, real estate crowdfunding and real estate co-investing is essentially the same thing. However, one of the main contrasts between the two is the distribution channel. Real estate co-investing typically involves people within one’s immediate network, while real estate crowdfunding leverages on the Internet to aggregate like-minded individuals from different parts of the world to provide financial support for projects they believe in. It is the scale and reach that makes real estate crowdfunding different and, if correctly executed, a potent force that could significantly disrupt the status quo. What are the limitations in South East Asia? Apart from the distribution channel, another difference is the legal framework they follow. In the US, most of the real estate crowdfunding sites will first find undervalued property deals before raising funds through their portal to invest in those opportunities. They are able to do this due to the JOBS Act. At present, there is nothing like the JOBS Act in South East Asia and US real estate crowdfunding sites that are keen to get a piece of the Asian pie will have to tweak their business processes to conform to prevailing regulations. So what are some of these regulations? Using Singapore’s legislative framework to illustrate, based on the Companies’ Act, the maximum shareholders a private limited company in Singapore can have is 50. In terms of monetary regulation, even though real estate investment is not under the Monetary Authority of Singapore’s (MAS) ambit, the collection of public funds is, and there are strict guidelines that have to be followed. As a result of these regulations, a possible way for some of these US crowdfunding businesses to operate in Singapore, without having to change their business model, is to start as a real estate private equity fund. Unlike the US crowdfunding sites, we do not find undervalued deals and try to raise funds. Instead, our approach to real estate is to simply be a targeted leads generation site for real estate funding opportunities. Akin to any regular listing portal, those who are looking for opportunities can connect with those who have it. The platform does not get involved in the deals and any funding arrangement is eventually between the opportunity providers and users. Even our revenue model is different as we are not commission- or success-based. Some of the ways we monetise is through the collection of membership fees, online advertising as well as putting real estate crowdfunding events together, which is within the currently legal ambit. Even though we are operating under such constraints, it does not mean that there is no interest. From July 2013 to Mar 2014, more than S$15million worth of deals were put up by users on the site and based on feedback, more than S$6million worth of deals were done. Apart from deals, the other key attraction of the site is the real estate news and education tools, which helped grow the user base from 200 to more than 1,800 within 8 months. While these results are nothing compared to some of the more prominent real estate crowdfunding sites in the US, the response is encouraging. In conclusion, real estate crowdfunding in South East Asia is still in its early days. However, there could be some flexibility in the pipeline. In the latest Budget Speech, Singapore’s Finance Minister Tharman Shanmugaratnam commented that the government was currently studying the potential of investment crowdfunding. When that happens, there will definitely be more things that these real estate crowdfunding companies can do. 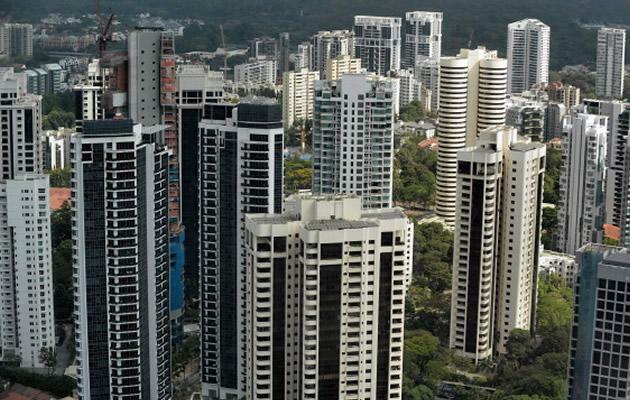 To give a sense of the potential of real estate crowdfunding, in Singapore alone, private property investment sales raked in S$14.14 billion for 1H 2013. Therefore, the regional real estate market is definitely worth more than that and a fraction of the pie is all it takes to make the endeavour worthwhile. Only time will tell if real estate crowdfunding will take off in South East Asia. As the saying goes, “nothing ventured, nothing gained”. While it is definitely a big bet for some of these US crowdfunding companies to venture abroad, looking at the potential payoff, those who are the first movers could eventually reap the largest rewards. Mr Getty Goh has a Masters in Real Estate from the National University of Singapore (NUS) and he is the CEO of CoAssets.com. He is also a speaker at Crowdsourcing Week. Dr Seh Huan Kiat has a PhD from Massachusetts Institute of Technology (MIT) and he is the CTO. CoAssets.com is South East Asia’s first real estate crowdfunding website. It is supported by the Interactive Digital Media Programme of the Media Development Authority (MDA) and funded by the National Research Foundation (NRF).